Makers, developers and hobbyists looking to add networking functionality to their projects in the form of NAS, VPN and Firewall features may be interested in a new piece of open source hardware called the ONetSwitch developed by MeshSr. The ONetSwitch has been specifically designed to provide an open source hardware platform for networking and complementing the standalone open hardware that currently takes the form of the Raspberry Pi minicomputer and Arduino microcontroller. “What can you do with the ONetSwitch? 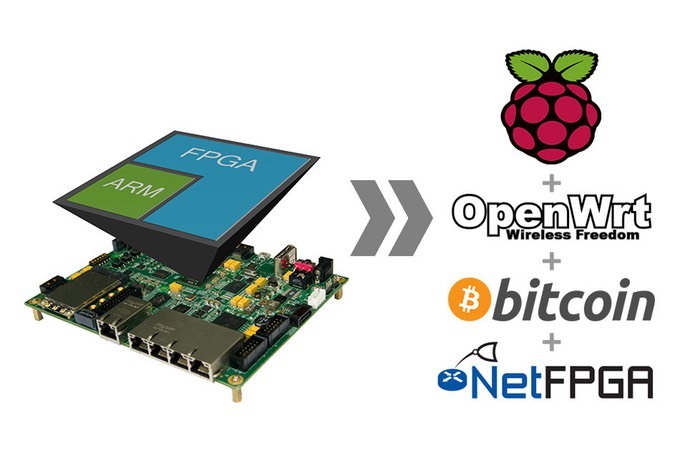 It‘s a Quad GE Ports SBC with FPGA programmable accelerator (Bitcoin Miner on Zynq), five Gigabit Ethernet ports, Up to 3GB DDR3 DRAM, SATA connector, and Mini PCIe interface for WLAN Card (OpenWrt on Zynq). ONetSwitch provides several reference designs available on GitHub. Each reference design consist of open source FPGA Hardware(RTL Code), Linux OS and open source software, sharing your mind and contribute to our community. It’s the Quad GE Ports SBC reference design on GitHub. For more information on the new ONetSwitch jump over to the Kickstarter website for details via the link below.